The Triple Crown series is not usually something that BSW Bloodstock targets. We do not like to make it a habit to spend large sums of money to end up in the starting gate on the first Saturday in May. Both Liz and I have had the Kentucky Derby experience. When I was at Zayat Stables, Nerho ran 2nd in the Kentucky Derby (2011), Pioneerof The Nile (2009) and Bodemeister (2012) both also ran 2nd in the Kentucky Derby, and at Team Valor Animal Kingdom had just won the Kentucky Derby when I signed on. 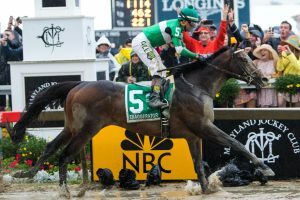 Liz was part of a pinhook partnership that involved purchasing Firing Line, 2nd to American Pharoah in the Kentucky Derby (2015), fourth place finisher Normandy Invasion (2013), and runner up Commanding Curve (2014). However, neither of us had dug into our pockets to purchase a live starter months before the race. 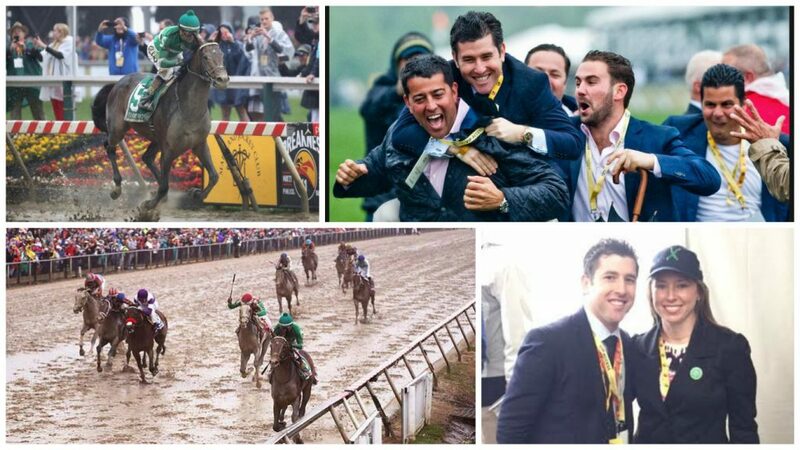 This year BSW was lucky enough to have two very game clients that wanted to be involved in the Triple Crown madness. We were aggressive starting in December, trying to find the right deal to pull the trigger on. Head Of Plains Partners and Adam Wachtel landed on Exaggerator and after several negotiations were were able to get Matt Bryant of Big Chief Racing to sell us an interest in the colt. He went on to run 3rd in the (G2) San Felipe, and with a chance to run in the Kentucky Derby on the line he made an epic last to first move to take the (G1) Santa Anita Derby. Sol and I watched from the empty Keeneland Dining Room after a fun day at the races in Lexington. We shook the place jumping up and down riding Exaggerator home, we might not have been in California, but they heard us! From the post position draw, weeknight parties, and walk over to the paddock, the Kentucky Derby experience is one for the storybooks. Churchill Downs did a great job this year and the hospitality was top notch. Exaggerator ran lights out to finish 2nd beaten 1 length by undefeated Nyquist. It was an experience of a lifetime for all involved with this timely purchase and first class experience. 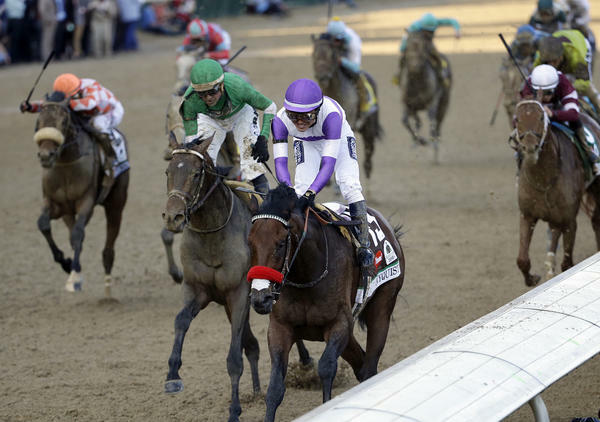 It was on to Baltimore where trainer Keith Desormeaux felt we had a big shot to take down the Kentucky Derby Champ Nyquist. That race call will likely be etched in all of our minds forever. Nyquist was wide, he was on a hot pace, Exaggerator closed hard up the rail and went on to win in dominating fashion by 3 1/2 lengths. The pictures below tell the story…. While enjoying Preakness Day with celebrity chef, client and close friend Bobby Flay he asked if I could help him get involved with a Belmont Stakes day contender. He was bringing new friends to the races and wanted to have some fun and show them a good time. We tried on several deals (mostly fillies), and I just happened to try him on one colt, Creator, who was the only other Grade 1 winner in the Belmont Stakes field. With some downside protected I felt he was the only one that made sense for Bobby’s program in the race. Bobby agreed, and after a one day negotiation with Winstar Farm, we bought a minority interest. 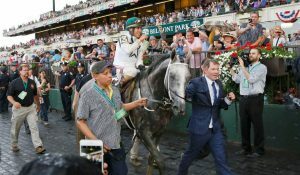 This also turned out to be a timely purchase as Creator nailed Destin on the line to become the 2016 Belmont Stakes Champion and a a dual G1 Winner at 3yo! 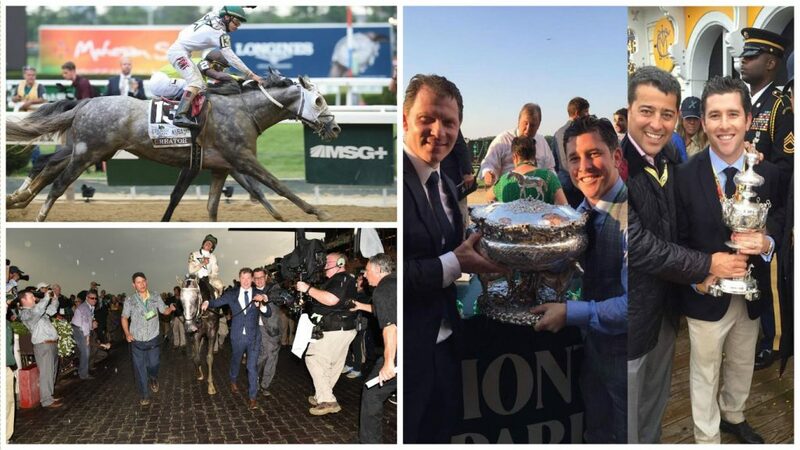 We know how lucky we are to be a part of this great Triple Crown series. We were only able to set our sights on these historic races due to our clients great ambitions. And it is five weeks we will never forget! There isn’t much I enjoy more than working a two-year-old in training sale. A pure performance sale where pedigrees and conformation while important, do not set the price. The price is set in an 1/8th or 1/4 mile breeze. The breeze is analyzed in slow-motion video, gallop out times, and the general movement of the horse on the track. A High Cotton can bring $300,000 with the right breeze while a Tapit could bring $50,000 if the time and video was not up to par. An article that appeared in DRF on June 20th titled “Growth Only at Top of Juvenile Sales” pretty much sums up the entire year. 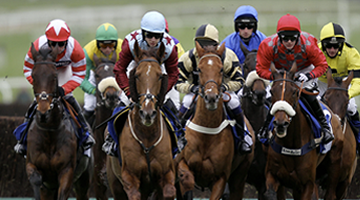 It was a very soft middle and lower end market with a strong hunger for the top level horses. Buyers are wanting these two-year-olds to jump through every hoop: sire power, fast breeze, style points on the breeze, good physical, and clean vet. If one of those boxes isn’t ticked the horse falls in that middle market. This continues to be a great spot to try and buy a racehorse that can be only a month or two off of a start. Thank you to all of our great clients who gave us the opportunity to purchase a two-year-old this year. : Ten Strike Racing (Clay Sanders and Marshall Gramm), Head of Plains Partners (Sol Kumin and Jim Carey), Al Shaqab Racing, Steve Laymon, Joel and Ali Rush, Stephan Brochu and John Wentworth, and Ronnie and Jerry Frankel. Your support means the world to me and Brad and I will look forward to following their careers closely. My dad, Barry Weisbord, has been in this great Thoroughbred industry for 40 years. He told me from a young age that Royal Ascot is the best week of racing and best show in the world. I had never had the opportunity to attend the Royal Ascot meeting until 2013 when Animal Kingdom competed in the (G1) Queen Anne Stakes at Royal Ascot. Animal Kingdom was a top contender for the race and it was fun to experience the meet for the first time not only as a spectator but member of the Ownership team, while working for Team Valor International. He ran poorly that day, finishing 11th but it was the most fun day I have experienced where our horse ran that badly. From that day forward I decided to make this a yearly trip for my wife and I. Whether we have a horse or not we take our yearly working vacation to the most beautiful and elegant racetrack in the world. 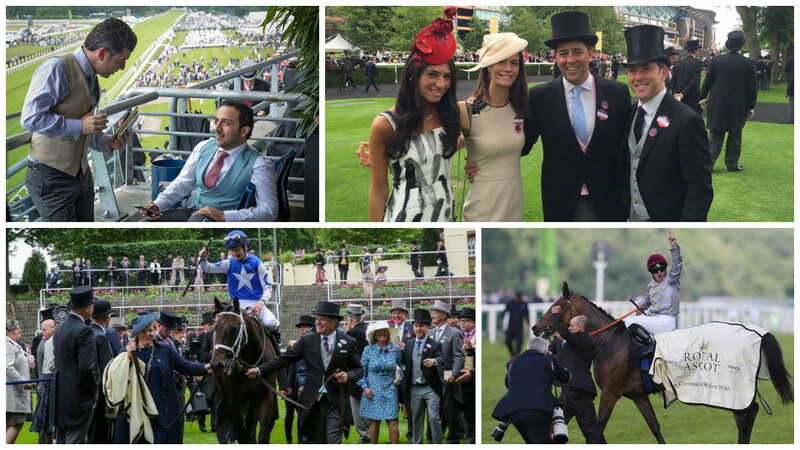 This year we were lucky enough to be associated with Al Shaqab Racing, the leading owner at the 2016 Royal Ascot Meeting. The group of runners was led by Galileo Gold’s brilliant win in the (G1) St. James Palace Stakes on opening day and Qemah’s win in the (G1) Coronation Stakes on Friday. They also had two (G2) placings in the Coventry Stakes and Queen Mary Stakes which made the week extra fun. I always enjoy seeing the Qatari team that so heavily supported me when I launched BSW Bloodstock in 2014, and I enjoyed my time speaking with Sheikh Joaan al Thani, who has put so much time and energy into the sport over the last 5 years. But I would be remiss in not mentioning the true highlight of the week which was Robert “Bat” Masterson, one of my dad’s first clients and closest friends, winning the (G1) Queen Anne Stakes with superstar Tepin. She became the first U.S. based horse to win this prestigious event. No drugs, no nasal strip, no pony, no problem! What a filly! This year my wife and I took the trip with our good friends and clients Sol and Elizabeth Kumin. I believe this will be on their list now annually as well! Already looking forward to next year! Mshawish took Al Shaqab Racing and BSW Bloodstock on a wonderful ride. Mshawish came to America in June of his four-year-old year as a (G2) winner after competing in seven racetracks around the world: Chantilly, Saint Cloud, Royal Ascot, Deauville, Longchamp, Meydan, and Sha Tin. He got his first win for Al Shaqab Racing in America and helped kick-off an epic Championship Meeting for Al Shaqab Racing with a win in the El Prado Stakes on December 13, 2014. He went on to win the (G2) Ft. Lauderdale and (G1) Gulfstream Park Turf Handicap helping Al Shaqab Racing earn the Leading Stakes Owner of the 2015 Championship Meeting. A great honor for their first year of operations in the U.S.
Mshawish then took his connections back to Dubai, running a game third in the (G1) Dubai Turf. He finished out 2015 with a fourth in the (G1) Breeders Cup Mile and huge effort to run 4th in his first dirt try in the (G1) Cigar Mile. It looked as if he found a new home on dirt and the plan was to move forward on that surface for the 2016 Gulfstream Park meet. He ran a gutsy effort to win by a neck in the (G3) Hal’s Hope which put him in a great position to win the prestigious (G1) Donn Handicap. He became one of the rare horses in history to be both a (G1) winner on turf and dirt. 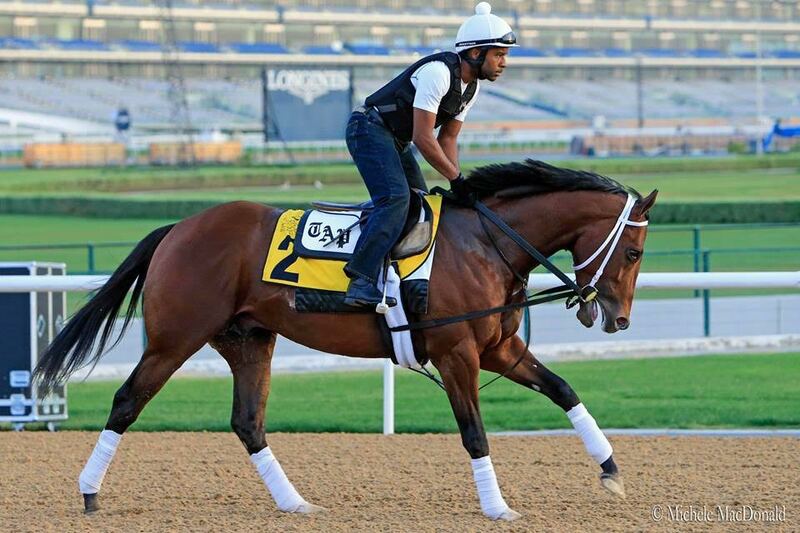 He took his owners back to Dubai once again finishing 6th in the (G1) $10,000,000 Dubai World Cup. He was retired shortly thereafter to stand stud in Kentucky at Taylor-Made Farm. He is leading sire Medaglia d’Oro’s most outstanding son standing at stud today and we are truly excited to see how his second career unfolds. Thank you to Todd Pletcher and his great staff for their incredible care of Mshawish. He was a special horse and one we will always remember for helping to launch Al Shaqab Racing in America. The first half of 2016 has been incredibly fun, full of great race days spent with great clients, taking down some of the top Graded Stakes in the country. The first 6 months are over, and we are really looking forward to the Summer and Fall. Looking at the below line-up of Stakes penciled in we believe we are set for some fireworks! 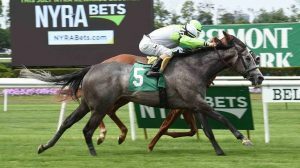 (G2) Jim Dandy Stakes – Saturday July 30th at Saratoga 1 1/8th on the dirt. 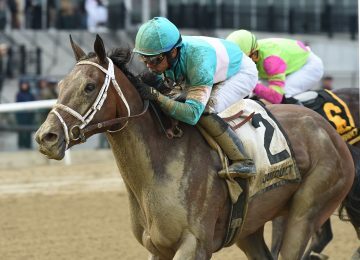 (G1) Travers Stakes – Saturday August 27th at Saratoga 1 1/4 on the dirt. $200,000 Waya Stakes – Saturday August 6th at Saratoga 1 1/2 on the turf. (G2) Lake Placid on Sunday August 21st at Saratoga 1 1/8th on the turf. She was purchased privately after running a good third with a wide trip in an Allowance on June 17th at Churchill Downs. She ran good numbers in her last outing and looks as if she is improving with each start. She was shipped to her new trainer Chad Brown this week. (G3) Boiling Springs Stakes on Sunday, July 24th at Monmouth Park 1 1/8th on the turf. 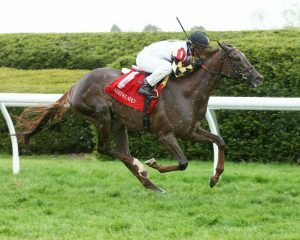 She was purchase privately on behalf of Michael Kisber and won her first outing for new partnership including Sheep Pond Partners at Keeneland. She had a horrible trip in the $200,000 Wonder Again Stakes to finish 9th and will look to bounce back in her next start. 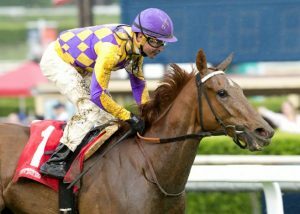 She was purchased on behalf of Tango Uniform Racing, The Elkstone Group, and Highclere America and has won two of three starts since arriving in the U.S. 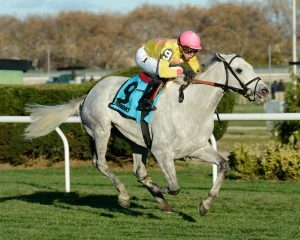 Her most recent win was on Sunday, July 3rd at Belmont Park. She ran a 6+ Ragozin and 91 Beyer and has several options this summer. $100,000 De La Rose Stakes on Saturday, August 6th at Satatoga 1 mile on the turf. He got very sick on us after running third in the (G3) Mac Diarmada Stakes in March and took some time to get over his illness. 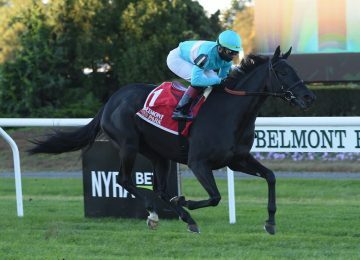 He returned last Sunday, July 3rd in the (G1) United Nations Stakes at Monmouth Park. He ran 7th but likely really needed this race from a fitness standpoint. He will return for another G1 turf try later this summer. He started the year off with a second and a win in Allowance company in California. He shipped east and ran a very nice third in the (G2) Dixiana Elkhorn Stakes and then a somewhat flat 6th in the (G2) Charles Wittingham Stakes. He will look to rebound next out. (G2) Del Mar Handicap on Saturday, August 20th at Del Mar 1 3/8ths on the turf. 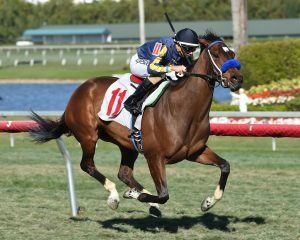 She was purchased on behalf of Cheyenne Stables (Everett Dobson) and immediately ran 2nd in the Sanibel Island Stakes at Gulfstream Park. After a little time off she will look to rebound this summer at Saratoga. $100,000 Riskaverse Stakes at Saratoga on Thursday, August 25th going 1 mile on the turf. We have a box in Saratoga this summer and love to have our clients and partners join us. Please let us know your dates and we look forward to seeing you all!